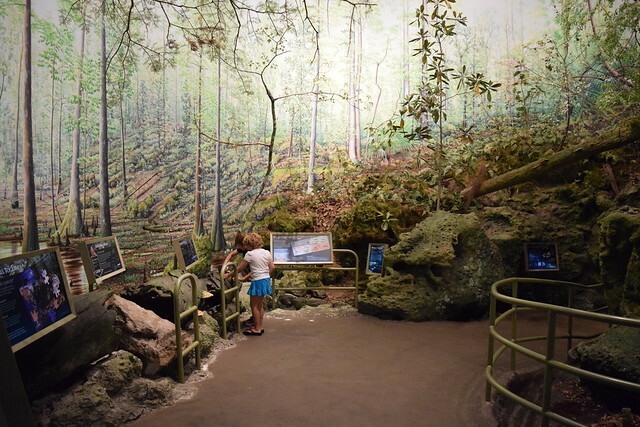 We recently attended a homeschool day at the Florida Museum of Natural History in Gainesville. 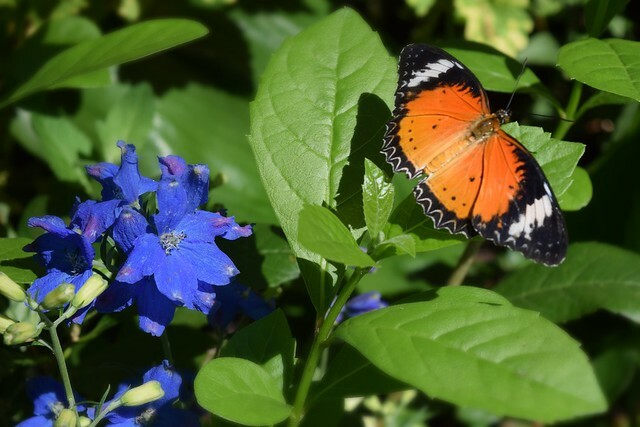 Most of the museum is free to visitors with the exception of the Butterfly Rainforest and the First Colony: Our Spanish Origins exhibit. 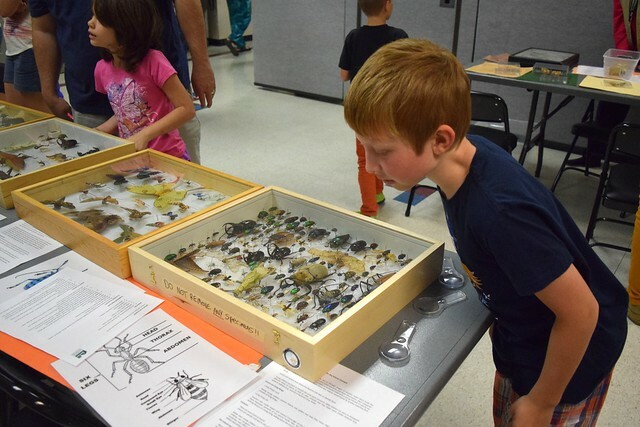 During the event, a small discount was given for the Butterfly Rainforest and different stations were set up for homeschoolers to learn about butterflies and moths. 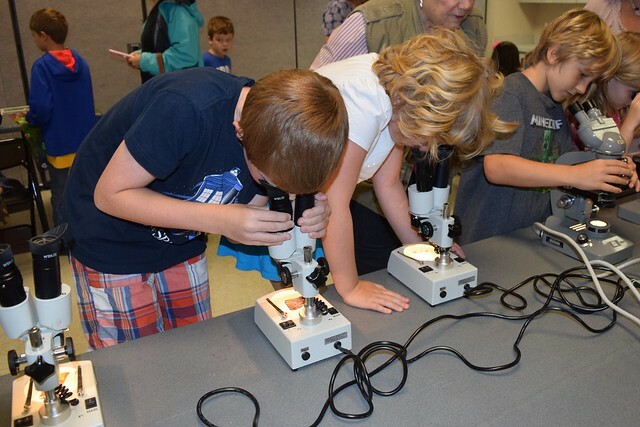 Some of differences between butterflies and moths were already known to my 7 and 9 year old students, but being able to look at a moth wing and butterfly wing under a microscope was unique. 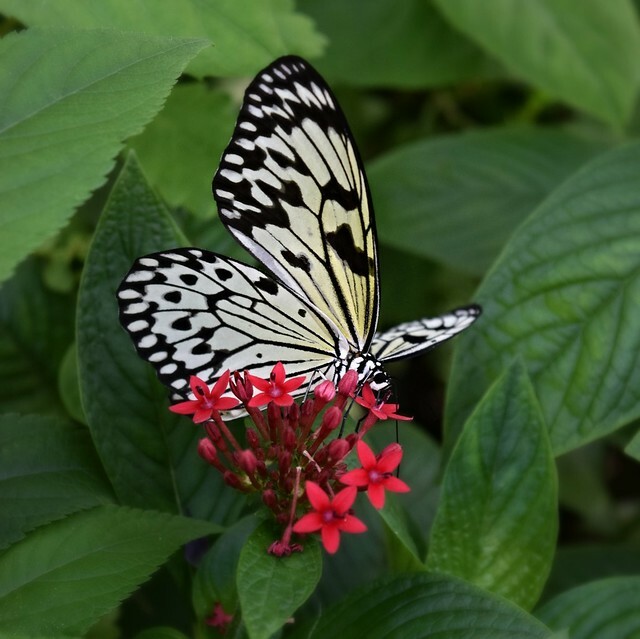 As a result, they will forever remember that butterfly wings have scales and moth wings do not. 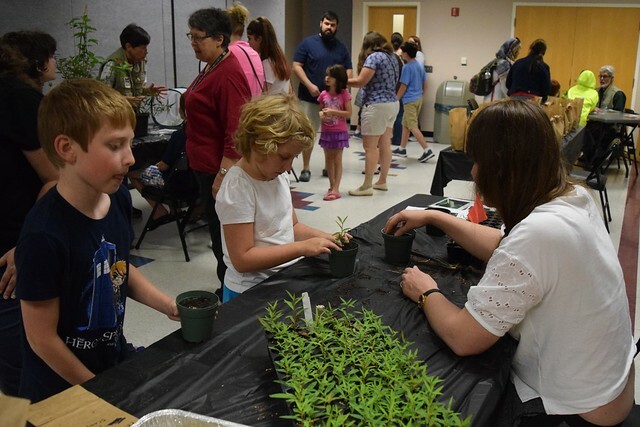 They were also able to pot their own milkweed seedlings to bring home, and they learned how to properly pin butterflies for preservation from a professional lepidopterologist. 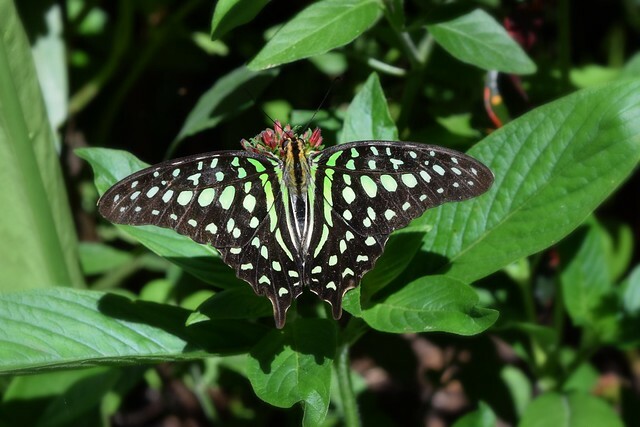 Patrons can enter the Butterfly Rainforest more than once during a visit to the museum. It was a good size with a number of different butterfly species floating and flitting around. 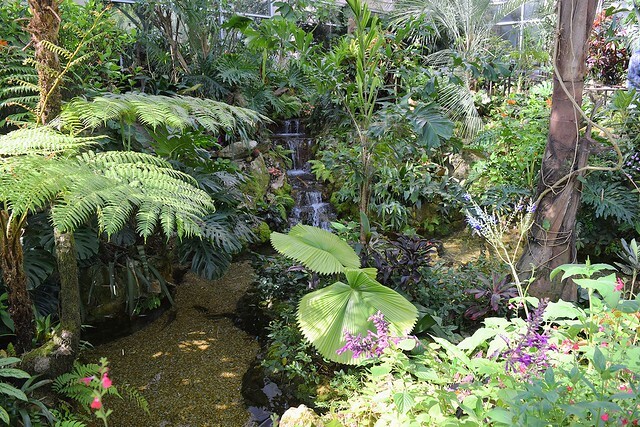 We were told that this museum hosts one of the largest collections of butterfly specimens in the world. 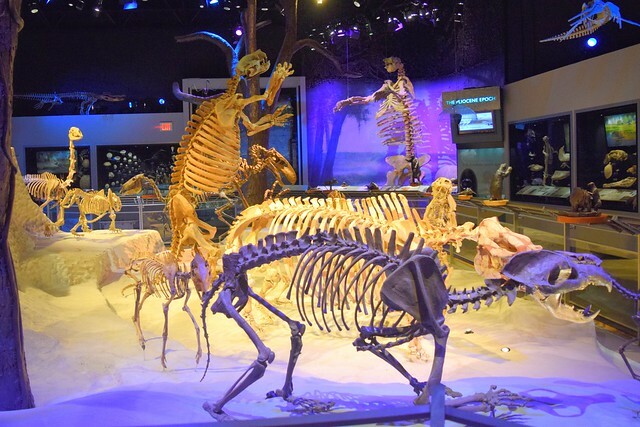 There is plenty to see at this museum beyond the butterfly exhibit. 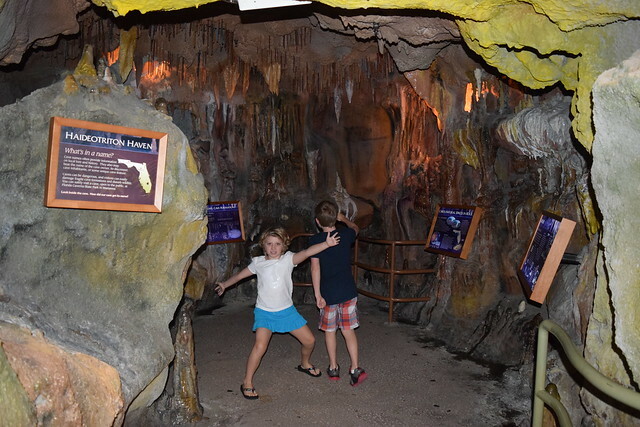 We were amazed at the elaborate displays of prehistoric fossils, Florida habitats and mannaquined exhibits of native peoples - all that is free! This event prompted a weekend visit to the area and a camping trip to nearby Paynes Prairie Preserve State Park. 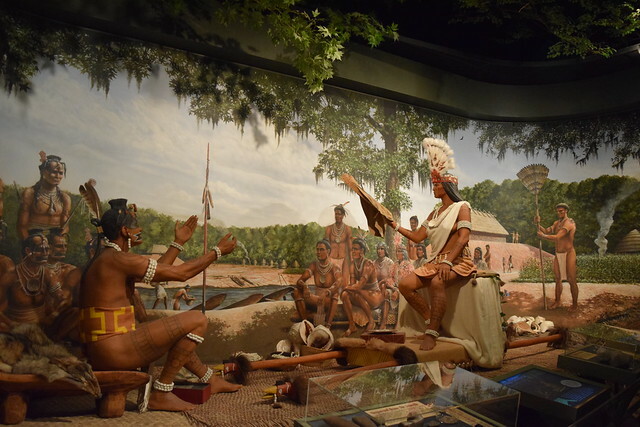 Using the campground as a base, we were easily able to visit this museum as well as the Harn Museum of Art located right next door on the University of Florida Campus.